Glenkeel Top is the 860th highest place in Ireland. As I was preparing my trip to Béara in March 2014, I noticed there was no comment for Glenkeel Top on MV, and only 3 members had climbed it. Its modest height, the fact that it remains unmarked and on the edge on two OS maps, and most of all its relative isolation from other MV summits are the main reasons. 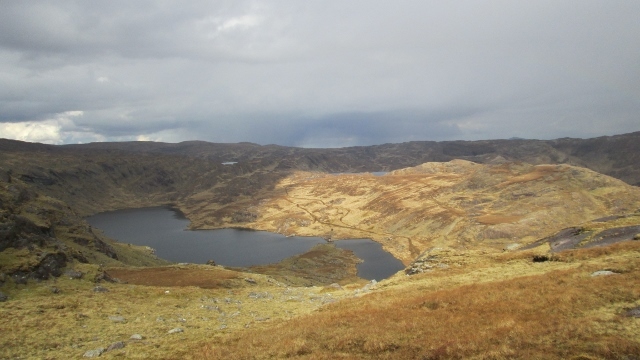 Intrigued, I decided to include it in a circular walk, starting from the Healy Pass, taking in Knockowen, Cushnaficulla, Knockeirky, Glenkeel Top, then back to Knockowen via Knockeirky's S ridge (Canshanavoe), down to Stookeennalackareha and up the road back to the Pass.